Thank you for using FxDailyInfo.com, FxDailyInfo is operated by SI TRADERS WORLDWIDE (M) SDN. BHD (1233370-P). Our registered office located at 36C-6F 2nd Floor, Wisma Mawar, Jalan Raja Alang 50300, Kuala Lumpur, Malaysia. The terms of service mainly used for legal purposes. The first warning that you may not use our services in an inappropriate manner. You are more than 13 years old to use our website. You understand and agree that you don’t use it for any illegal purposes. 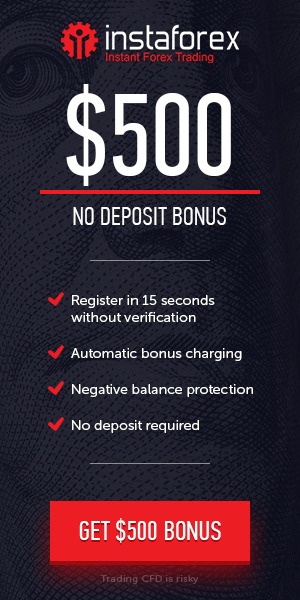 If you are accepting these Terms and using the Services you should proceed to use FxDailyInfo. We are provide you news and other promotional contents. USE the Service at our own risk. We guarantee that we don’t provide any harmful, offensive, inaccurate, inappropriate or any deceptive content. In some cases, any content has been mislabeled you should consider us and please inform you via the contact page. We do not guarantee the completeness, truthfulness, accuracy, or reliability of any Content 100% cause all are content constantly including and updating. We reserve the right to remove and change any Content to be without prior notice. We keep trying to evolve our Services constantly. The service might be a change from time to time with our perspective. We may stop temporarily or permanently providing the Services. We collect some personal information or data such your name, email, cell number, age, countries, IP address, your location etc. When and how do collect your data? We collect necessary data directly from you. By using our services and visiting our site when you subscribe our newsletter when you share your data with us via the electronic registration form. In most case, we ask the name of the brokerage company in which you work, the account number for providing brokers review. And when you give us feedback, suggestion and put your important opinion then. In some cases, you may be asked to provide more detailed information that may be needed to contact you. We respect your privacy. Any personal information provided by you to us will be treated as confidential. We keep it secure. Is my data shared with a 3rd party? No. FxDailyInfo does not disclose any personal information with a 3rd party. We may terminate your access and stop our services provide you at our sole discretion..
We provided our services using a commercially affordable level of ability and care and that we hope that you just can fancy exploitation them. However, there are a unit sure things that we have a tendency to don’t promise concerning our Services. We do not warranties that when you are accessing our site you are protected from virus or malware, without any error or you are secure. By accessing the site is totally at your own risk. Our services, content are protected by copyright, trademark, foreign countries, and other laws. FxDailyInfo gives you a right to use the site name or any of the FxDailyInfo trademarks, and logos for educational or resource reference. Any comments, feedback or suggestions you'll give relating to FxDailyInfo. You can use our content by a notification of alleged copyright infringement must be addressed to FxDailyInfo copyright agent as listed above. We may revise these Terms from time to time. We reserve the right to amend, change or modify so, these Terms may be modified as new features, technology or legal requirements appear without prior notice, so we recommend that you check them occasionally. If we update these Terms, you can freely decide if you accept them or if you stop using our Service. If you continue to use the Service after such update has become effective, you will be deemed to agree to, and agree to, the new Terms. Forex trading may not suitable for everybody and the foreign market is a high-risk investment. Before starting your trading or invest you known that your investment at risk. We can’t be responsible for your loss so invest and trading totally at your own risk. Therefore, we are not recommending you the market. Note: You may end your legal agreement with FxDailyInfo by discontinuing the site. You may keep it by a copy for your personal reference.